The last true Revival & Spiritual Awakening that happened in the United States was in the 1850s-1920s. This was called the Third Great Awakening, through which God’s Spirit rushed across America in tremendous power bringing about spiritual and social renewal and refocus. A major prayer movement began, during which the stock market crashed on October 10, 1857. This crash was called “the great panic,” and led to people flooding by the thousands to prayer meetings across New York City. People were leaving work to go to these prayer meetings, which then began to spread across the country. This awakening even impacted both the North and South armies during the Civil War as over 200,000 soldiers accepted Jesus Christ. Several more major “things” took place as a result of this awakening, such as Christians actually beginning to verbally share their faith and not just “theoretically” discussing it in church…personal evangelism exploded! Plus, a literal worldwide missions movement began. Also, the “Abolition of Slavery” began with the passing of the 13th Amendment, then “Prohibition” started when the 18th Amendment passed that outlawed alcohol. The YMCA and the ion Army began, along with new evangelical denominations. Two key people who embodied this movement were evangelists D.L. Moody and Billy Sunday. These two men traveled the country preaching the message of THE CROSS and calling all people—even church people—to REPENT of their sins, and to deny themselves, and to prove their commitment to Jesus Christ by actions such as personal evangelism and missions involvement. What about us today…are we willing to let God soften our hearts, which have been hardened by the “comfort” and/or the “routine” and/or the “busyness” that living in the USA has provided for us? Are you and I regularly, and verbally, sharing our Christian faith with other people? Are you and I actively going on local and international mission trips (have you ever gone on a mission trip)? If no, why not? Is there any “legitimate” reason you cannot plan to go on a short-term mission trip within the next year? Is there any reason you won’t verbally share your faith in Jesus Christ with someone today, and tomorrow, and…? 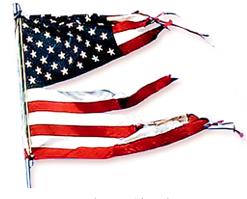 The United States of America is dead. Only the God of Israel, through His Crucified & Resurrected Son—JESUS CHRIST—can bring life to America. Some Christians have been praying for decades that God will send another Revival & Spiritual Awakening that will “wake up” the American Christians. You may be too busy to pray for our country. But, to you who realize, and believe, that Jesus Christ is the only hope left for America, join us in praying for HIM to have mercy on us and our country, and that HE will send a NEW GREAT AWAKENING to the United States of America! 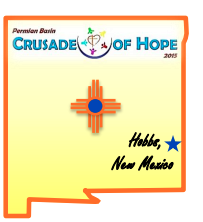 We are praying that the Lord will move in tremendous life-altering, and community-changing, power through our upcoming CRUSADE OF HOPE in Hobbs, NM, September 13-16, 2015…that God will do something that will spread throughout New Mexico and America. Only God is able to do this, and it is totally up to Him whether or not He chooses to send revival; but, we are going to pray, hope, and plan, and leave the rest to God. Personally, I just want to be a part of what God is doing in our country…and in faith, see how HE will use our ministry! We have a PRAYER LIST covering requests for the CRUSADE OF HOPE in Hobbs, NM and for REVIVAL IN AMERICA. Also, we have a suggestion sheet for how to begin a HOME PRAYER GROUP in your area that will focus on praying specifically for our crusade and for revival in our country. You can print out both of these prayer sheets at www.scottnute.org/crusade-prayer.